Farmers and contractors must be happy with their machines. And agricultural equipment dealers must work well with their manufacturers. It's the only way customers can get the best supplies and support. The German association, LandBauTechnik e.V., has carried out its annual opinion survey of German specialist businesses, and one thing is for certain – German Fendt dealers have complete confidence in their brand. Overall results. Source: LandBauTechnik e.V. "The excellent results of the Dealer Satisfaction Barometer reflect the great partnership and cooperation we enjoy with our sales partners. 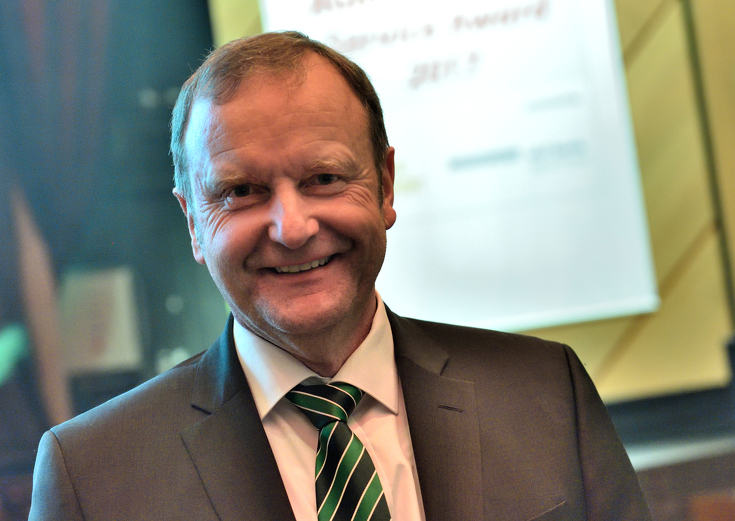 It's also a key prerequisite for overall market success in 2018," says Andreas Loewel, Head of Fendt Sales Germany, delighted about the dealers' ratings. "Last year we informed our sales partners about new products and strategies professionally and well in advance, so they were able to plan and prepare their retail strategy in a way that's best for business. Then in August we used the grand Fendt Field Day in Wadenbrunn to make direct contact with Fendt customers and dealers, exchange information and of course enjoy a fun day out." The survey asked about 12 different aspects of the dealer/manufacturer relationship. 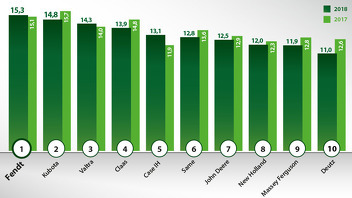 Fendt scored the highest of all the brands in Image and Public Presence, with 17.4 out of a possible 20 points. 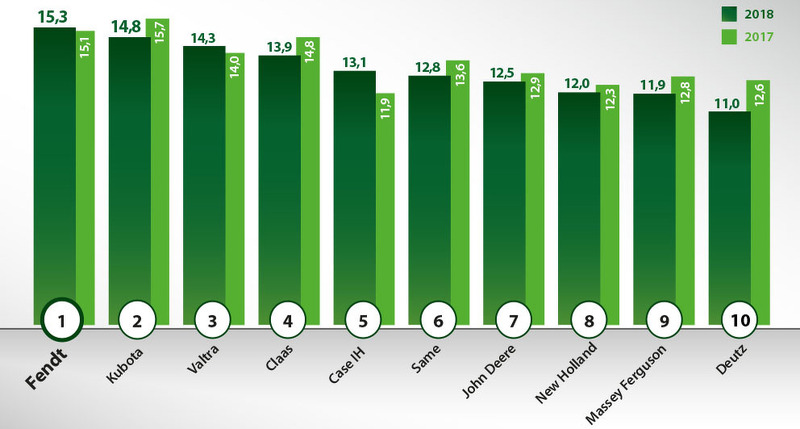 Fendt also came top when dealers were asked about Tractor Sales, Aftersales Service and Warranty, Processing and Payment Terms, Contribution to Profitability, Training, Management, Change Strategy and Theft Prevention.